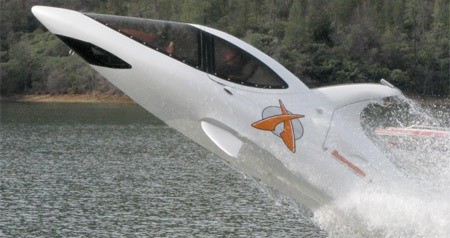 Seabreacher X is a submersible personal watercraft designed to jump, dive, and look like a real shark. 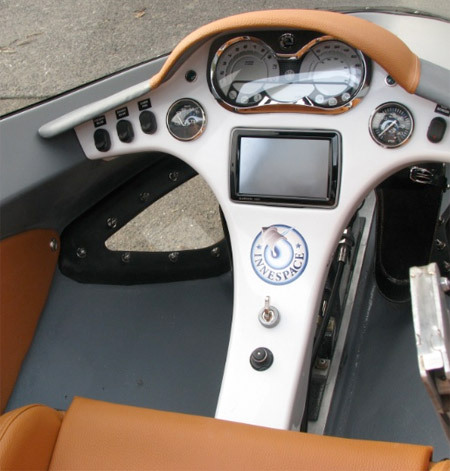 It is equipped with a powerful 260 hp engine that allows the “boat” to have a top speed of 50 mph on the surface and 25 mph below. If you do not like sharks, then check out dolphin inspired version. I DEFINITELY want one! Awesome! Thrilling stuff – displaying that level of control it should be possible to develop some fantastic race courses for it – Olympic event? That has awesome written all over it! I want two, just in case one breaks. Looks like a lot of fun. How far below the surface will they go? Even if it’s only 10 feet that would be something. Do they make a two-seater? Any statistics about fuel consumption? Any restrictions by the Feds, State or local governments? 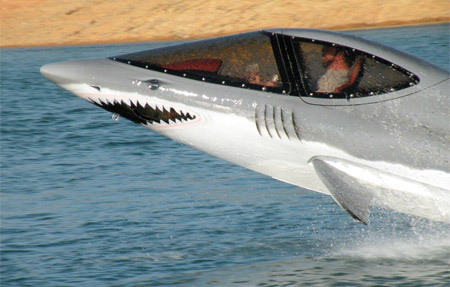 Sooner or later the Government will have a “No Boat” list like they have a “No Fly List”. Equipped with a couple of 50 Cal. machine guns and a couple of small torpedo launchers, they would be great against the Modern Day Pirates that pray upon the transport ships off Africa and the like. 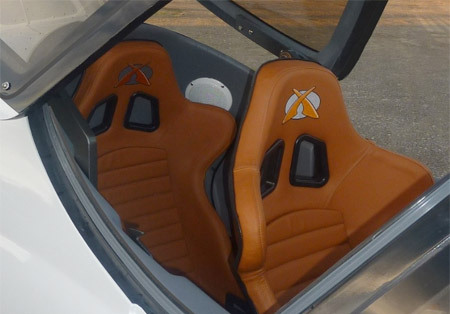 …Uh, it is two seater. Yeah I want one too. Hey, this looks familiar, didn’t Toxel feature another one but instead of sharks they were dolphins? 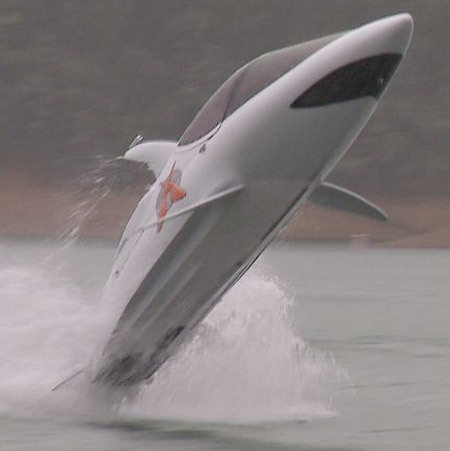 I very much prefer that version, it’s more streamlined and behaves more like a dolphin. Sharks don’t keep leaping out of the water like that. 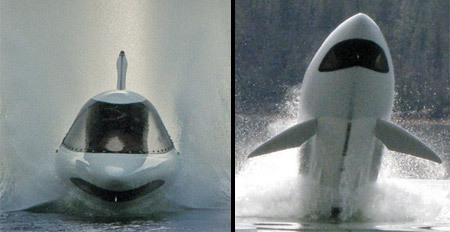 Also to have two in the water at the same time seems a bit dangerous, because during the interior shot when they were going underwater I couldn’t see anything out of the windscreen, and I doubt the driver could, too.